X-Rite is coming out with a new, larger version of their popular ColorChecker, the X-Rite ColorChecker Video XL. The ColorChecker Video XL is a color calibration tool that enables filmmakers, colorists, and DITs to quickly match images from multiple cameras. In a world where many of us are shooting on a variety of cameras from different manufacturers, which each have differing color profiles from camera to camera, the X-Rite ColorChecker has become an invaluable tool for matching looks. During production, you simply place the ColorChecker in front of each camera to set its white balance, under any lighting condition, and the color charts allow a very fluid and objective post-production color matching process. The original ColorChecker Video and ColorChecker Passport Video can be a little too small for cameras that can’t zoom in far enough to capture enough data. So for long shots and wide shots, the new XL version is very handy. 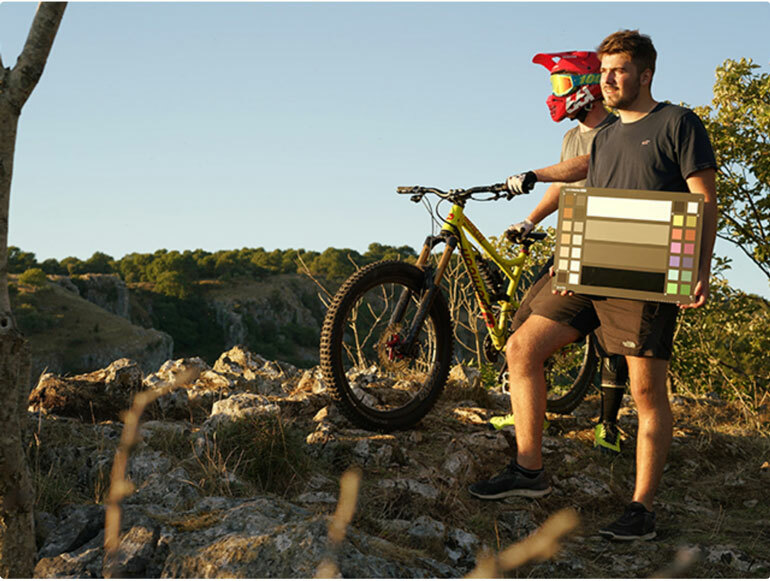 The ColorChecker Video XL is twice the size of its previous version, at 23 x 19.5 inches. The size makes it ideal for aerial work with drones, which shoot at a wide angle and often too far from the X-Rite. We’re pretty excited about this because our drone footage is almost always the most difficult footage to match with our A and B cameras. The color and image processing in little drone cameras are very limited, so you want to get as close to the final image color as possible when you’re shooting. X-Rite Incorporated, the world leader in color management and measurement technologies, today announces the addition of the new ColorChecker Video XL to the ColorChecker family. For longer and wider shots, this extra-large format color reference target speeds up video production for more consistent and accurate color from capture to edit. Given the popularity of the X-Rite ColorChecker Video and Video Passport targets among filmmakers and editors, adding a larger target for longer, wider and aerial shots was a logical addition to the family. Often the distance between the camera and the subject is too great, or the angle is too wide, to effectively capture a smaller target. With ColorChecker Video XL, users can increase capture resolution for post, maintain the same lighting conditions falling on their subject, eliminate the need to move the camera closer or adjust focal length, and minimize color casting from surrounding light. 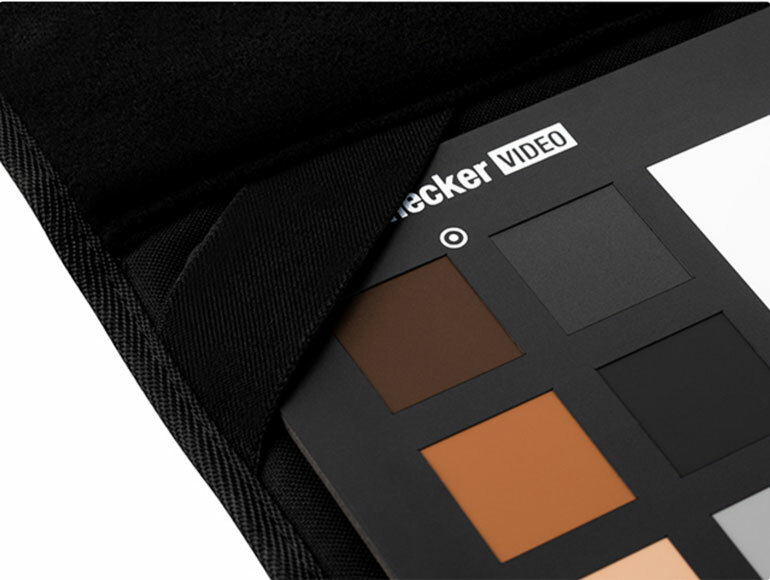 Perfect for large production sets, event filmmaking, and aerial filmmaking, the ColorChecker Video XL allows users to accurately check highlights, shadows and mid-tones, match multiple cameras and achieve accurate color balance. It provides the same chromatic colors, skin tones and gray reference chips of the standard size ColorChecker Video, but is twice as large, measuring 23” x 19.5” x 2.625”(53.3 x 37.5cm). All X-Rite ColorChecker Video targets work with popular filmmaking tools like waveforms, vectorscopes, and zebras. X-Rite ColorChecker Video XL is available as a stand-alone color reference target or combined with two forms of added protection – a choice of a simple carry sleeve or a more robust, fully configurable carrying case. 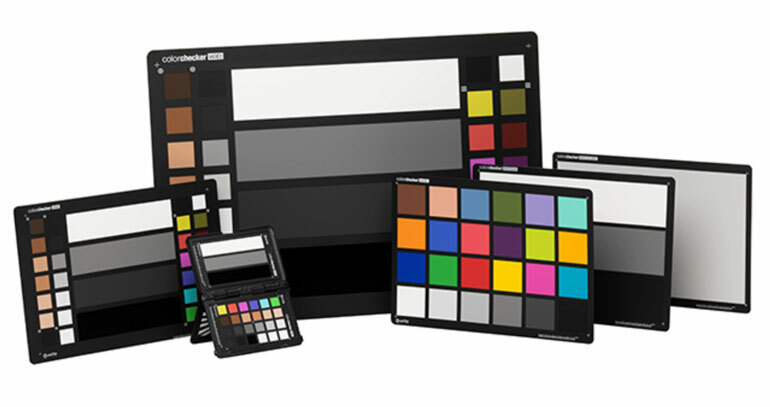 X-Rite’s ColorChecker Video XL and protective accessories are now available through the global photo and video reseller network and on xritephoto.com, and xritephoto.eu.